An 80th birthday is a mighty accomplishment, but it doesn’t mean Sun Valley Resort is resting on its fame. 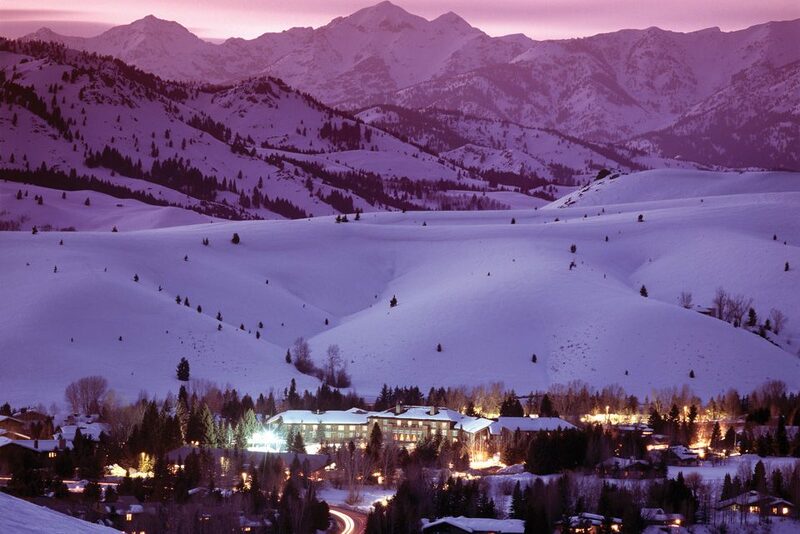 With an exciting season planned, it’s still happening in Sun Valley in a big way. December 21 marks 80 years since Sun Valley’s first glamorous and glitzy guests stepped down from the rail car. That exciting day was the culmination of W. Averell Harriman’s dream to establish America’s first winter destination resort in America—one that would rival St. Moritz and Davos in the Alps. 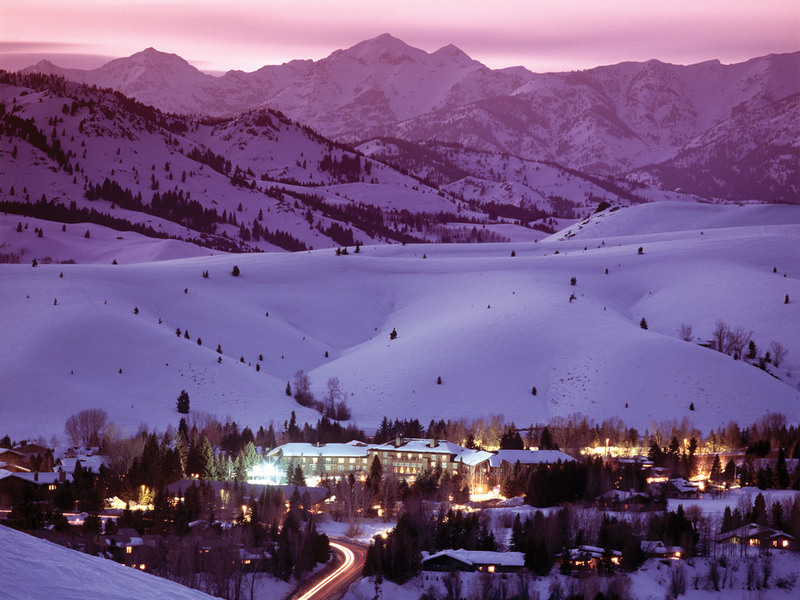 In the 80 years since, Sun Valley has continued to be a favorite winter destination. And for good reason: People anxiously await celebrating traditional seasonal events and enjoying their favorite winter sports, while at the same time looking forward to experiencing what’s new at the resort. The perennial excitement among new and returning visitors is a tribute to how Sun Valley has moved with the times to engage new generations with expanded experiences and a love for the resort, while at the same time maintaining a distinct identity and well-loved traditions. To celebrate Sun Valley’s eightieth birthday on December 21, the resort will host two special holiday events, both free and open to the public: A screening of Sun Valley Serenade, a 1941 film with music by Glenn Miller, will show at the Sun Valley Opera House at 2:30 pm; and, at 4 pm, students from the Sun Valley Summer Symphony and Wood River High School choral department will present “Swinging Through the Holidays,” featuring Glenn Miller songs from the Sun Valley Serenade and holiday classics, at the River Run Lodge. For those who want to continue celebrating, the next evening is Hokey Pokey Night at the Ram Restaurant. As true Sun Valley trivia fans know, the first public performance of the Hokey Pokey was in Sun Valley in 1949. People have the greatest affection for Sun Valley’s traditions over the holidays, and Kelli Lusk, the resort’s Public Relations and Communications Manager, says this year is certain to please. Winter Wonderland: Home for the Holidays is the theme for the Village, and holiday festivities officially begin with the window stroll, scavenger hunt, and afternoon party on December 10. The traditional Tree Lighting Ceremony will take place the following week, on December 17, in the Village, with refreshments and entertainment, including the Sun Valley Carolers, who will continue singing seasonal songs in the Village through December 27. And in case you’re looking for more songs for the holiday playlist, stop by the Ninth Annual Christmas Concert at the Opera House on December 20 to hear holiday songs and stories. As guests take in the sights and sounds of the holidays in the Village, another adventure awaits just down the road: beginning December 17, daytime horse-drawn sleigh rides will depart from the Nordic Center each day, offering guests a glimpse of Sun Valley’s winter wonderland of trails. With the village decked out for the holidays and sleighs carrying visitors along the trails, the stage is set for a magical Sun Valley Christmas. Always a memorable event at Sun Valley, this year’s Christmas Eve presentation will include a new ice show production, Skating in Winter Wonderland, with soloists Kim Navarro and Brent Bommentre. Together with an ensemble cast, the two will perform routines to modern renditions of holiday music. The torchlight parade down Dollar Mountain follows, and the evening will conclude, as always, with fireworks. Festivities at the resort continue apace after Christmas, and New Year’s Eve’s Bubbly Bash, hosted by the Sun Valley Center for the Arts at the River Run Lodge, is a relatively new and now favorite tradition that sells out early. Revelers with children can relax and celebrate knowing their children will be having a fine time dancing and playing at the New Year’s Eve Kids’ Night Out at the Sun Valley Play School. Earlier in the day, the ice arena will be open for skating. The saying goes, “You can’t buy happiness, but you can buy a lift ticket.” And what better place to have a lift ticket than Sun Valley? 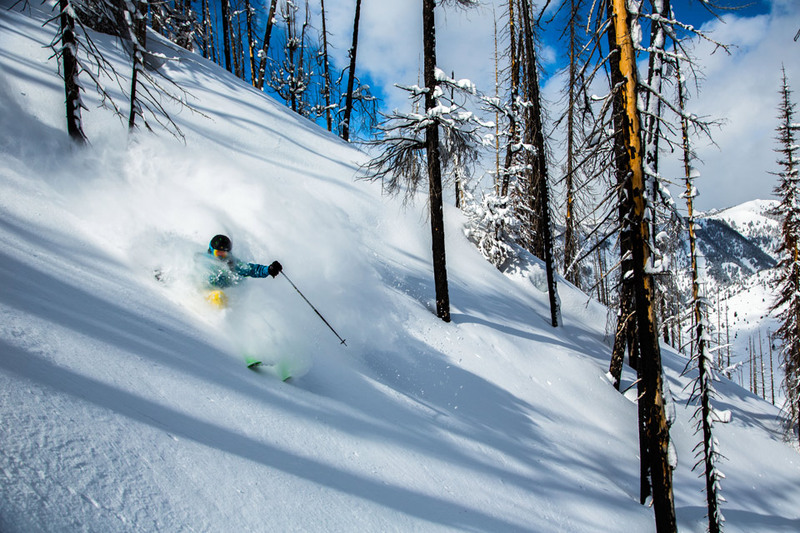 Ski Magazine once again rated Sun Valley with glowing descriptions, and a day on the mountain will confirm why the resort continues to garner high reviews. Alongside the resort’s dedication to creating optimal snow conditions is a commitment to being good stewards of the land and the environment. The Rubis Evos snow guns are energy efficient, Lusk notes: “We can make twice as much snow with 90 percent less energy.” And, she says, the new Prinoth Bison snow groomers at work on Baldy and Dollar produce 90 percent fewer emissions than older models of snow groomers. As part of its stewardship, Sun Valley is a proud partner in the Healthy Forest Initiative with the US Forest Service. This removes undergrowth to lower the chances of disease and fire. In addition to a healthier forest, these efforts have opened up 55 additional acres for glade skiing on Baldy. Sun Valley loves families, and Dollar Mountain continues to be the center for family fun. “Families are especially enjoying competing with each other on the Family Cross Course,” says Mike Fitzpatrick, Sun Valley’s Director of Marketing and Public Relations. “They race four at a time, and there is a lot of competition and laughter.” Some other favorite family activities include a weekly guest lottery offering winners the chance to take part in Ski Patrol 101, a sunrise adventure assisting the ski patrol preparing the mountain for the day, and the SnowSports School and FreeRide programming, which develop school-aged kids’ skills over 13 sessions. This year, the popular WOW (Women’s Only Weekend), a three-day event emphasizing camaraderie, skills, and technique, is scheduled February 3 to 5. Also specifically designed for female skiers, the DIVAS program offers women the opportunity to learn from female instructors over an eight-week program running January through March. The word is out on fat tire biking. “It’s just so much fun!” Lusk says, of the new sport she has taken up herself. 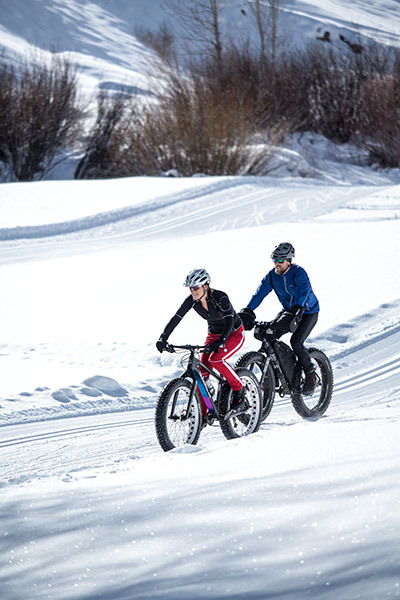 “It has really taken the country by storm.” For those wanting to give it a try on Sun Valley’s trails, the Nordic Center has a new fleet of Norco fat tire bikes for rent. To see the sport’s competitive side, plan to watch when fat tire competitors take to the trails January 28 and 29 as part of the third Snowball Special Fat Bike Race. Other opportunities to watch competitions this season include the Sun Valley Freestyle Spectacular weekend January 28 and 29, the Big Mountain West Series USASA snowboard and freeski event February 1 through 5, and the USSA Freestyle/Freeskiing Junior Nationals March 15 through 19. Looking for Nordic action? Sun Valley has become known as Nordic Town USA because of its superb conditions and expansive trail offerings, and the Sun Valley Nordic Festival, which includes the 200-kilometer Boulder Mountain Tour, takes place February 2 through 5. Sun Valley’s Lift Exchange Program recognizes the obvious—that no matter how wonderful the skiing may be, there are days when it’s just right to kick back. The program allows for swapping a ski day for a day at the spa or shopping. 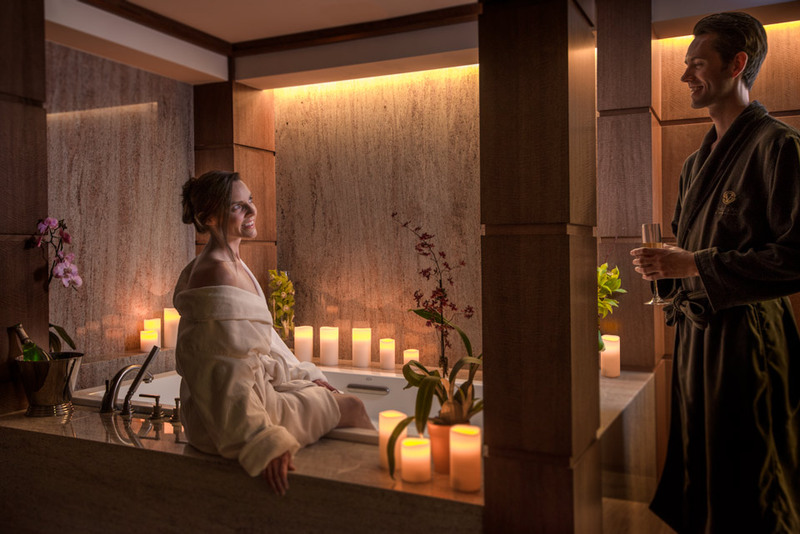 The new Lodge Spa with its fitness center and salon continues to delight guests, who love the spa’s menu of treatments. And speaking of menus, Chef Derek Gallegos is bringing a new spark to long-time Sun Valley Lodge favorite restaurant Gretchen’s, with his innovative farm-to-table meals. Other traditional dining destinations at the resort continue to offer delectable dishes in extraordinary settings: guests can ride the gondola up Baldy to dine at the Roundhouse restaurant, for instance, or climb in a sleigh and glide out to dinner at Trail Creek cabin. Eighty years ago, Sun Valley was the place to be, and it still is. It’s still happening in Sun Valley, and happening with the resort’s signatures of style, adventure, and relaxation. Some things do change. Gone are the days of arriving at Sun Valley by rail, and every year getting to Sun Valley by air gets easier. According to Mike Fitzpatrick, the Friedman Memorial Airport in Hailey has a new upgraded landing approach that will minimize flight delays. Alaska Airlines just added a new direct flight from Portland, Oregon, effective December 17. This flight and Alaska Airlines flights from Seattle and Los Angeles qualify passengers for a boarding pass exchange for a lift ticket, free Nordic day pass, a sport package rental, or a discounted group lesson. With the addition of the Portland flight, there are nonstop airline flights this winter season from Los Angeles, San Francisco, Denver, Seattle, and Salt Lake City. For more information visit sunvalley.com or call 208.622.4111.